Can I Use 1/16-Inch Grout Lines on Porcelain Tile? What Size Spacers Should I Use on a Bathroom Tub Tile? Can I Grout over Tile Spacers? Correct spacing of tiles makes or breaks the finished quality of a tile job. Tile spacers effectively accomplish this spacing. It's not always necessary to remove the tile spacers before grouting, but if they have to be removed, you can use a tile spacer puller equipped with a non-scuff rubber bumper that protects the edge of the tile. A few factors determine whether the spacers must be removed. Tile spacers can be left in place under certain conditions. Saltillo and clay-bodied Mexican paver tiles have larger grout lines than most tile. Large rubber spacers are used, sometimes larger than 1/2 inch. Large spacers in large grout joints must be removed before grouting, as the spacers may cause the grout to crack. 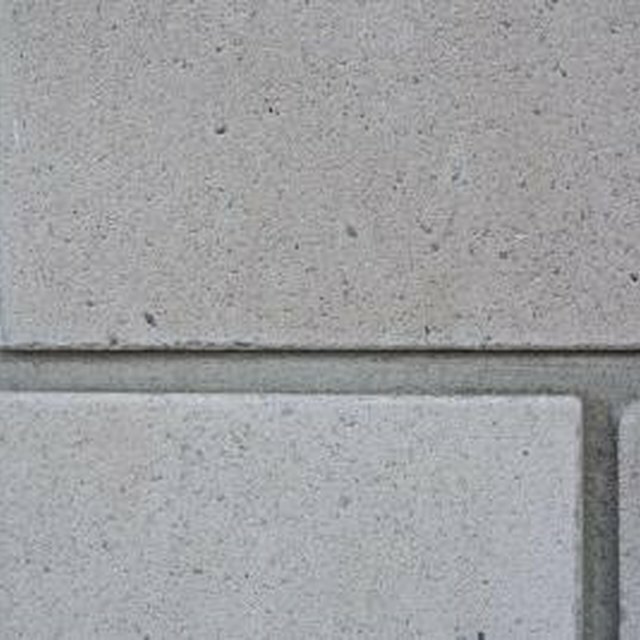 Natural stone tiles such as limestone, granite and marble are installed with smaller, perhaps 1/8-inch plastic and rubber spacers. This works to your advantage: As long as the spacer is at least 1/4 inch below the tile surface, grouting over the spacers is acceptable and structurally sound. Ceramic tile, such as 4 1/4-inch tile, is thinner than saltillo or natural stone tile. Spacers often are plastic or dense rubber and either are flush with the tile surface or extend beyond it. Spacer removal before grouting is recommended with most ceramic tile. Several factors determine the necessity of spacer removal for porcelain tile: If the spacer is embedded in the thinset or is at least 1/4 inch below the surface of the tile, then leaving spacers in is acceptable. However, if the porcelain tile was installed with large grout joints, or if the spacers protrude close to or beyond the surface, removal is necessary. Slate tile is generally installed using large rubber spacers between 1/4 and 3/8 inch thick. It is acceptable to leave the tile spacers in slate tile as you grout, as long as the spacers are at least 1/4-inch below the surface of the tile and are snugly in place in the thinset. Spacer removal is a good idea with larger grout-joint slate tiles (1/2 inch or more), or in situations where the spacer extends beyond the tile surface.